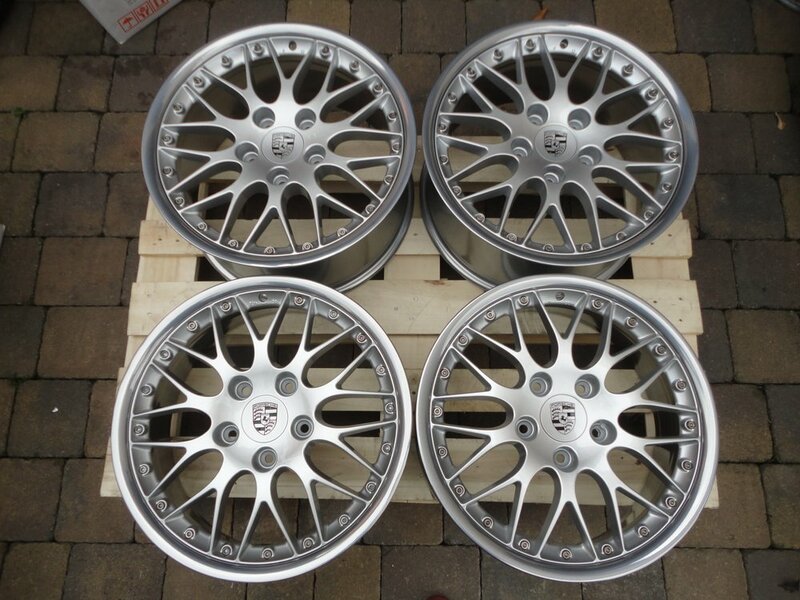 Mint condition Sport Classic II rims by BBS. They are refurbed by Chris@Exel and have never been mounted. They were professionally taken apart to face/barrel/bolts separately to strip and refurb and Exel's work is highly regarded. Pics are for reference, as mentioned the wheels are mint. Note that these are the precise correct offsets for 911s, and not the 7.5J ones that come up for boxsters. Good push for a good set of rims! !